At Apna Curry Feast we use only the best and freshest ingredients. 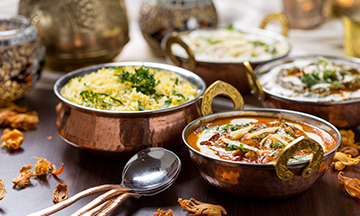 Apna Curry Feast serves a variety of savoury recipes, from traditional Indian to some newer creations. While old favourites are popular, our chefs are always trying to improve their techniques, most notably with the Chef’s Specials. It is our commitment at Apna Curry Feast to provide excellent food, service and an experience for you and your family to enjoy for many years to come. Best Curry Ever :) Will definitely be ordering again, everything was perfect. Really great flavours and will be coming back for my Indian every time! Delicious as always and super quick. Our favourite takeaway in cheltenham. Fresh, extremely tasty & great value for money. Will definitely return & would highly recommend.